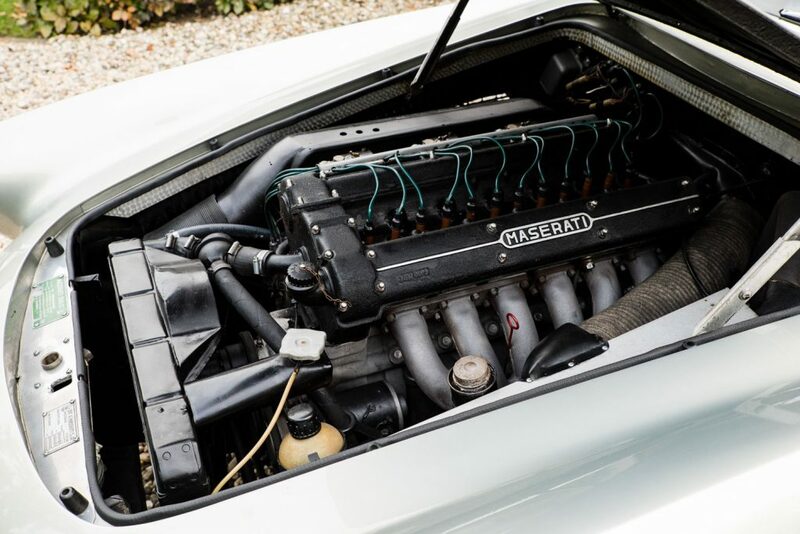 In the early 1950s Maserati had achieved racing success and international visibility, chief engineer Giulio Alfieri began development of a 3,500 cc engine specifically designed for racing which would then be refined for production use to suit a touring car. 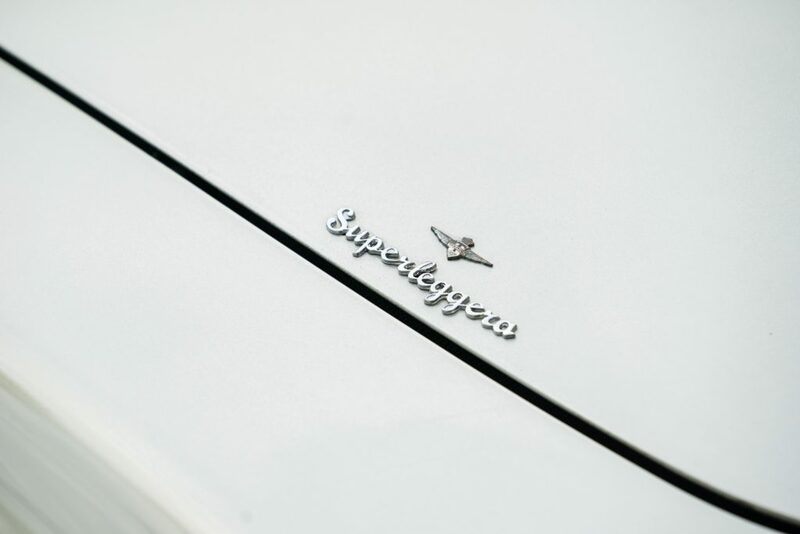 Alfieri established a collaboration with Carrozzeria Touring, which was renowned for its patented Superleggera coachwork, to develop a new design. 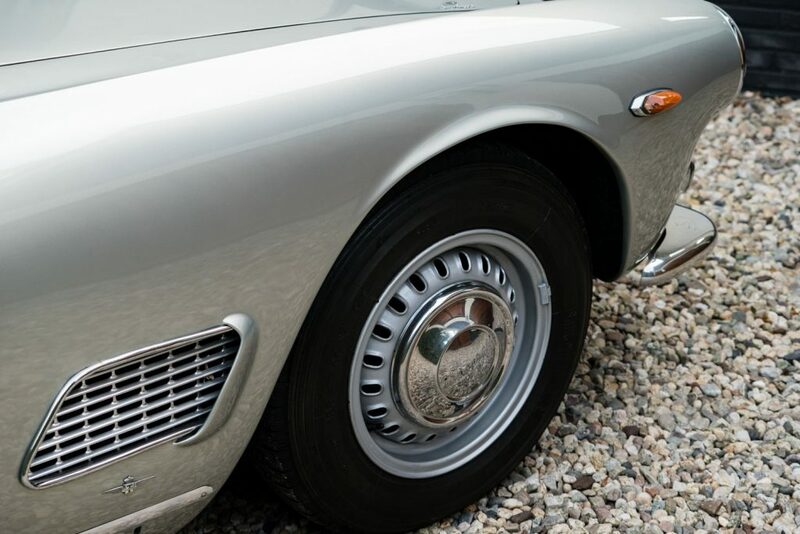 The Maserati 3500 GT Superleggera presented itself with a low-profile body, powerful grille, and a wraparound rear window. 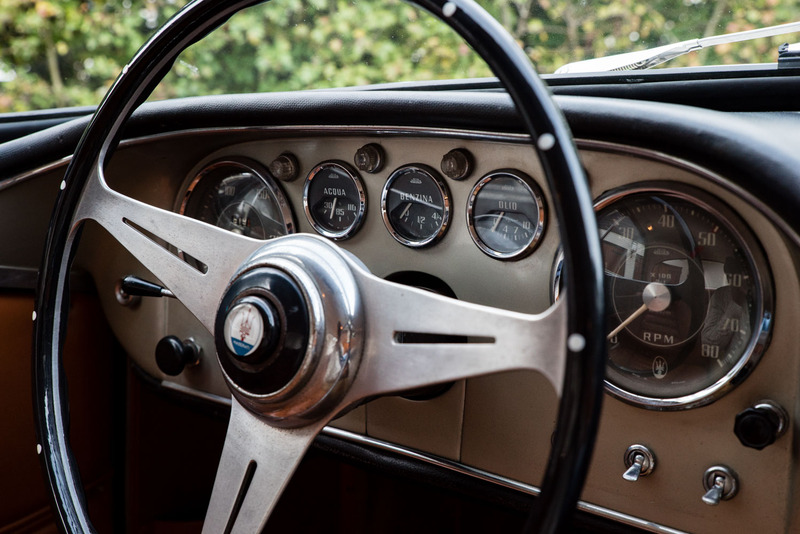 Needless to say, the car was an immediate sensation when it debuted at the 1957 Geneva Auto Show. 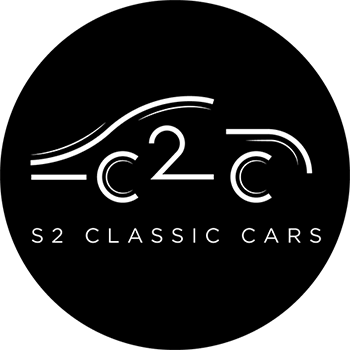 Arguably one of the most beautiful cars with true GT performance these are great cars to drive. 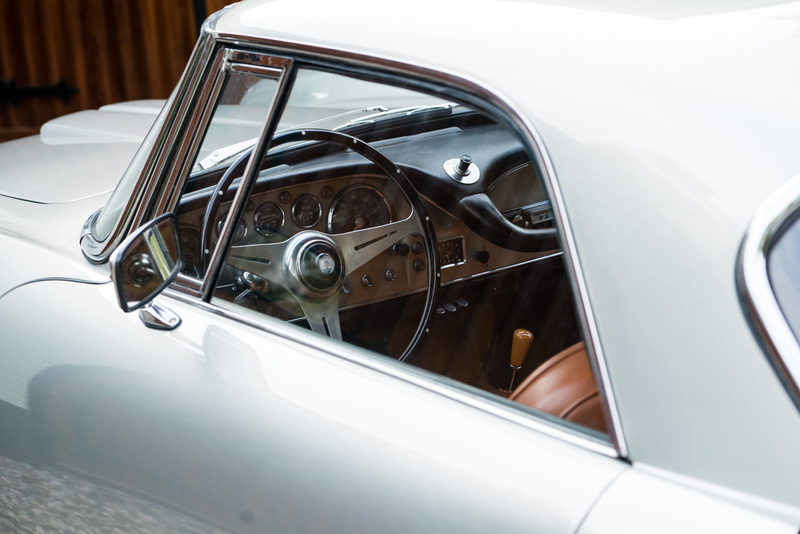 During the period of 1957-1964 a total of 2226 cars were built of which around 2000 were coupes. 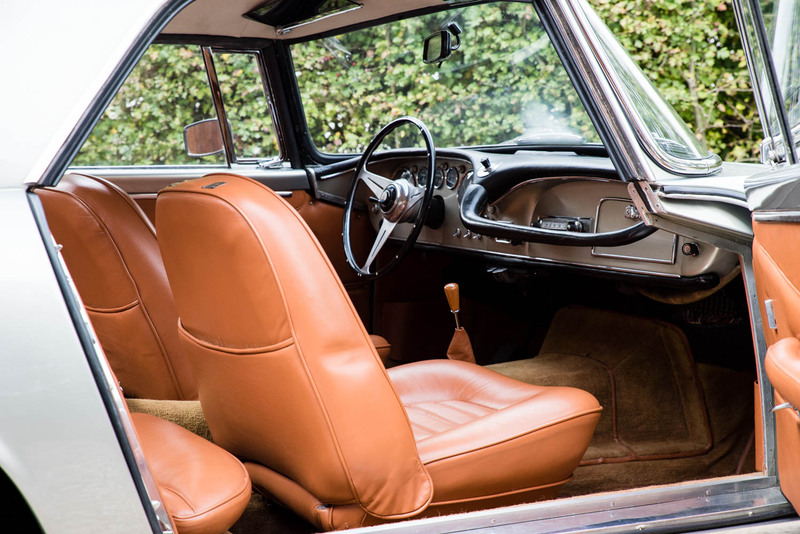 Of these 2000 units a total of 1981 Touring Milan (Superleggera) bodied cars, like this example, were built. 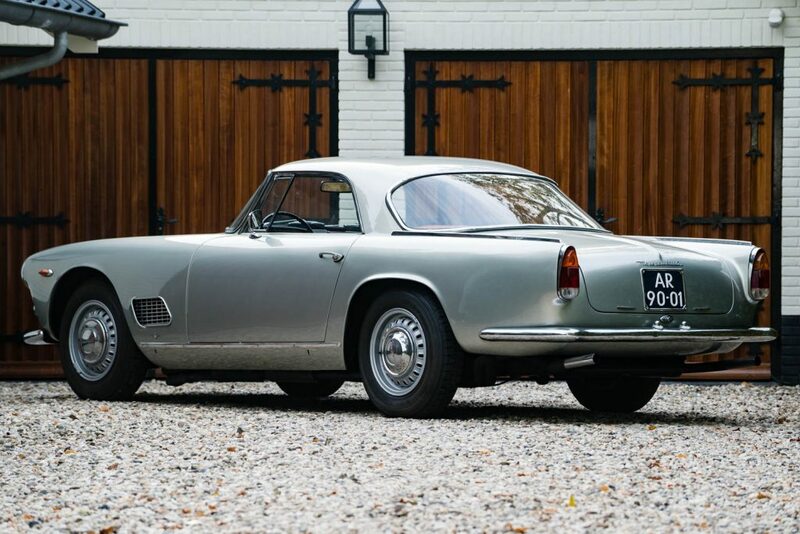 This very original example of the Maserati 3500 GT was recently re-painted in the highly attractive Grigio Albany (grey metallic) coloured paintwork. 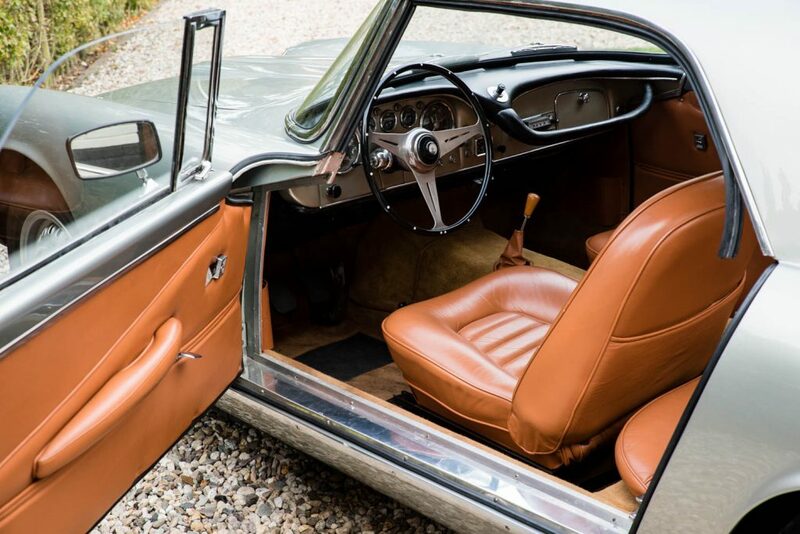 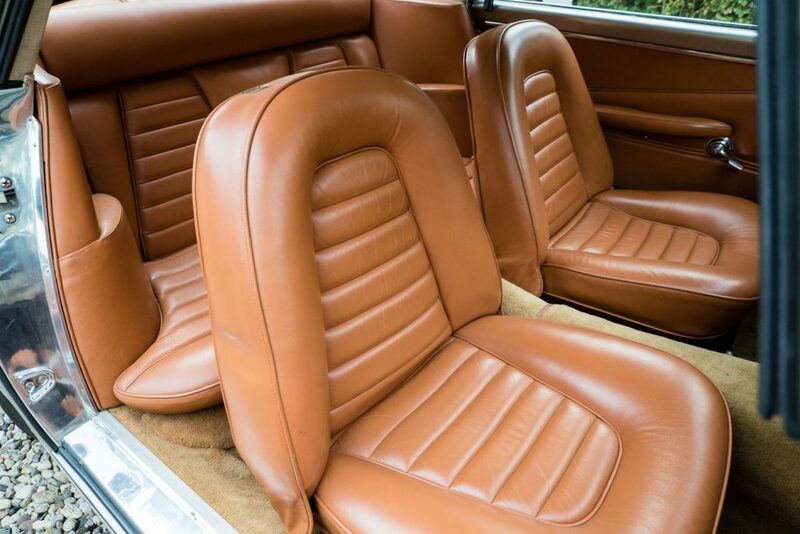 The supple cognac leather interior seating is accompanied by beige carpets and still holds an authentic radio in working condition as well as the original clock which is often missing. 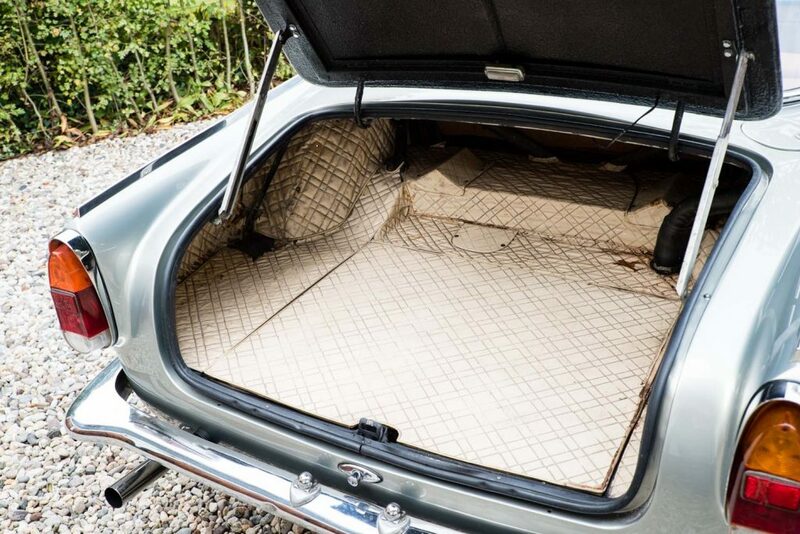 Another authentic iconic feature for the Maserati 3500 GT Superleggera is the distinctive quilted vinyl trunk liner which is in original shape, as seen per the photos. 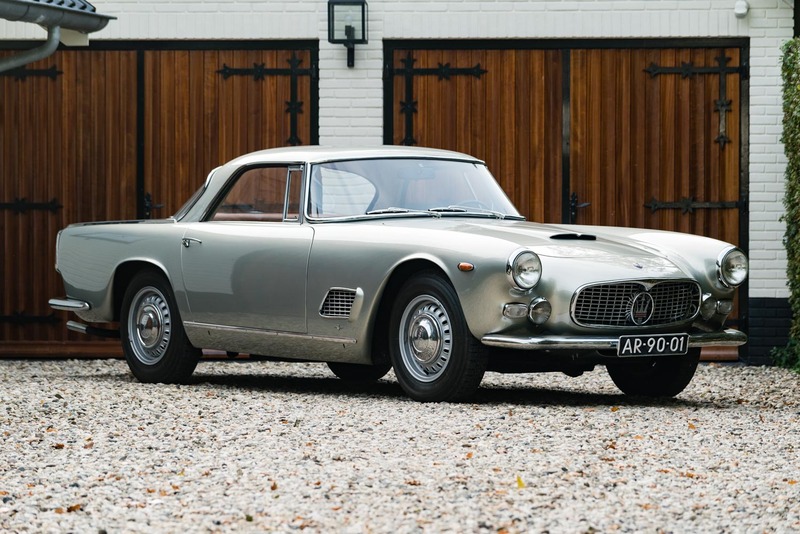 This 1962 Maserati 3500GT version comes with the popular weber carburettors.